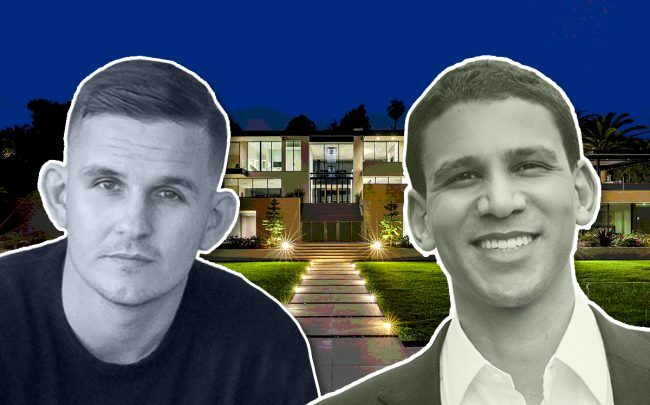 UPDATED, March 27, 10:28 a.m.: Compass is on a Los Angeles poaching spree — this time it turned to Hilton & Hyland and Coldwell Banker for new talent. The New York-based brokerage has recruited top agent Tyrone McKillen and his team, Plus Real Estate Group, it announced Tuesday. The move comes on the heels of another big Compass hire: Cindy Ambuehl joined the company from the Agency. McKillen and his team of six will now be based out of Compass’ Beverly Hills office. Inman first reported the news. Compass also recruited an eight-person team from Coldwell Banker in South Bay. Lauren Forbes and John Corrales lead that team, known as Forbes Corrales Coastal Properties. They will be based in Compass’ Manhattan Beach office. At Hilton & Hyland, McKillen brokered some of the region’s biggest deals, including the $33 million sale of the famous Doheny estate in Bel Air. He’s also co-listing a $180 million home in the neighborhood, developed by rhinoplasty specialist Dr. Raj Kanodia. McKillen has developed several single-family mansions, as well as commercial projects, under his firm, Plus Development & Plus Design Studio. One of his homes in Bel Air sold to power couple Beyonce and Jay-Z two years ago, when they paid $88 million for the 30,000-square-foot estate.